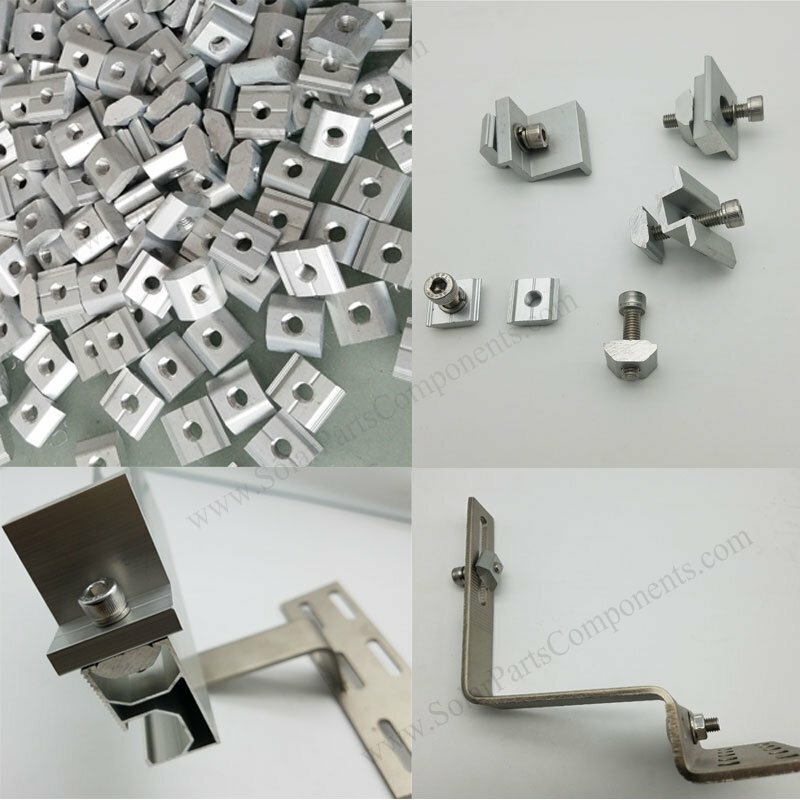 As a professional solar mounting kits factory, we produce aluminum sliding nuts by ourselves from design to manufacturing . 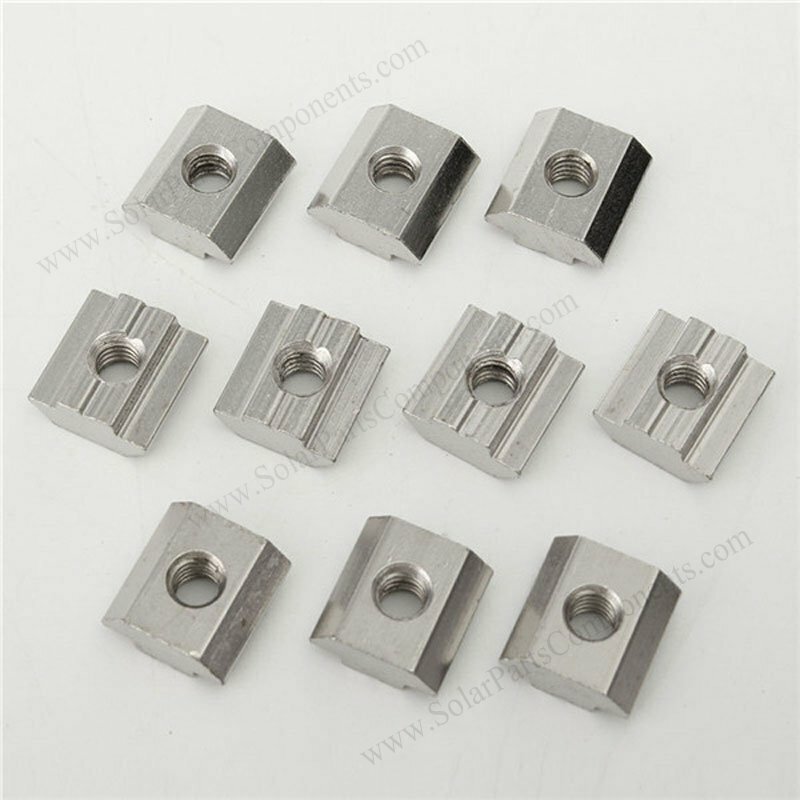 Our standard solar sliding nuts are made of good quality AL6005-T5 , so that we can keep anti-corrosive and good mechanical characteristics . 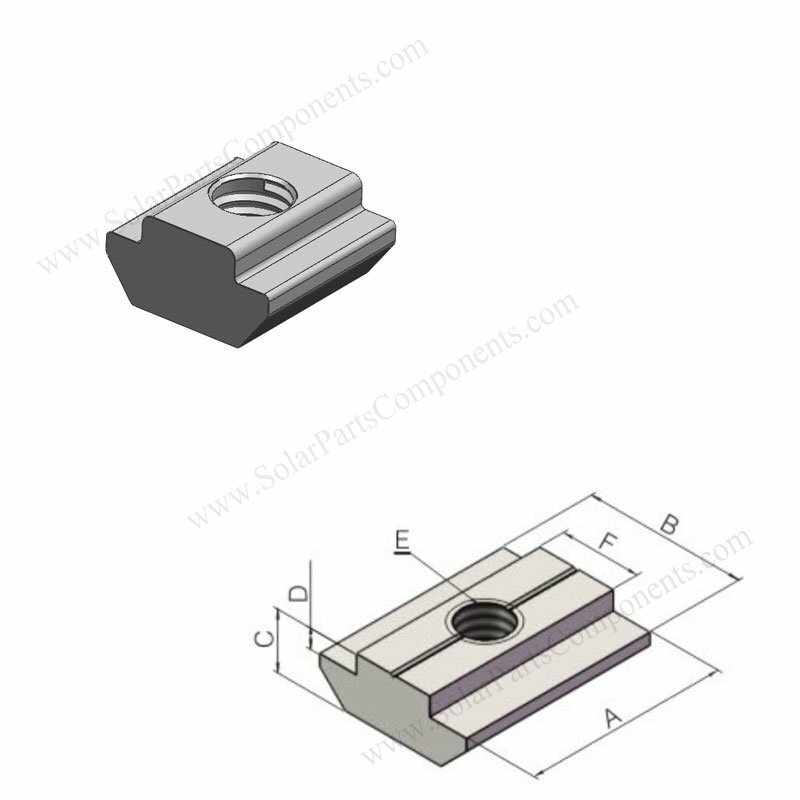 Main application for solar sliding nuts are matched for Hexagonal Socket head bolt, internal thread size is M 8 . Although solar t-slot nut is mirco , small , easy for neglected , we are still pursue all details perfect for these sliding nuts . 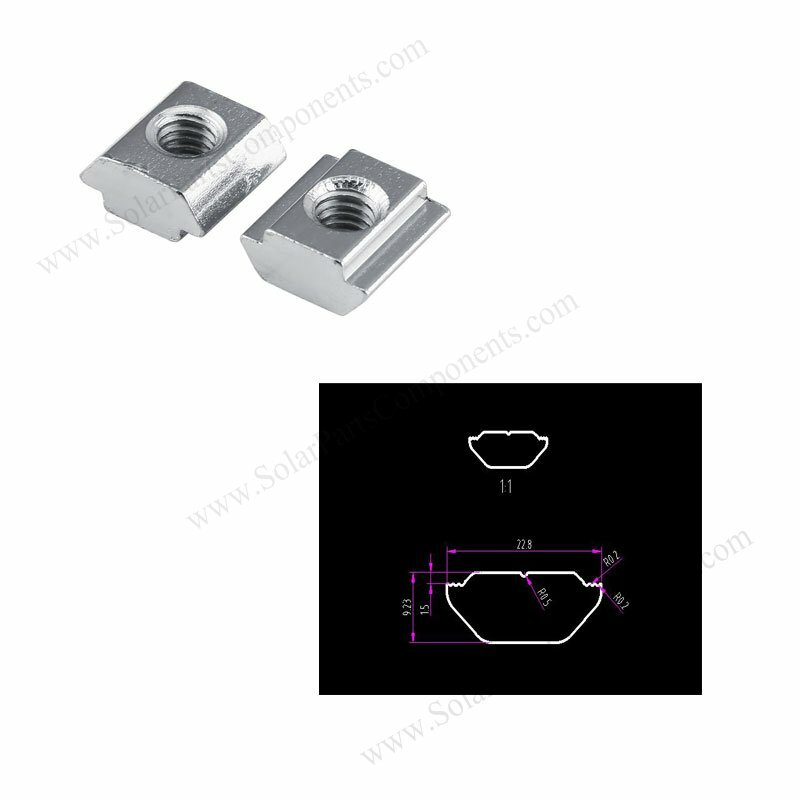 Besides standard dimension of solar sliding nuts , we can customized for solar panel installers according to their own aluminum mounting structure . Our engineer can issue proper drawings to match section profile given by clients . 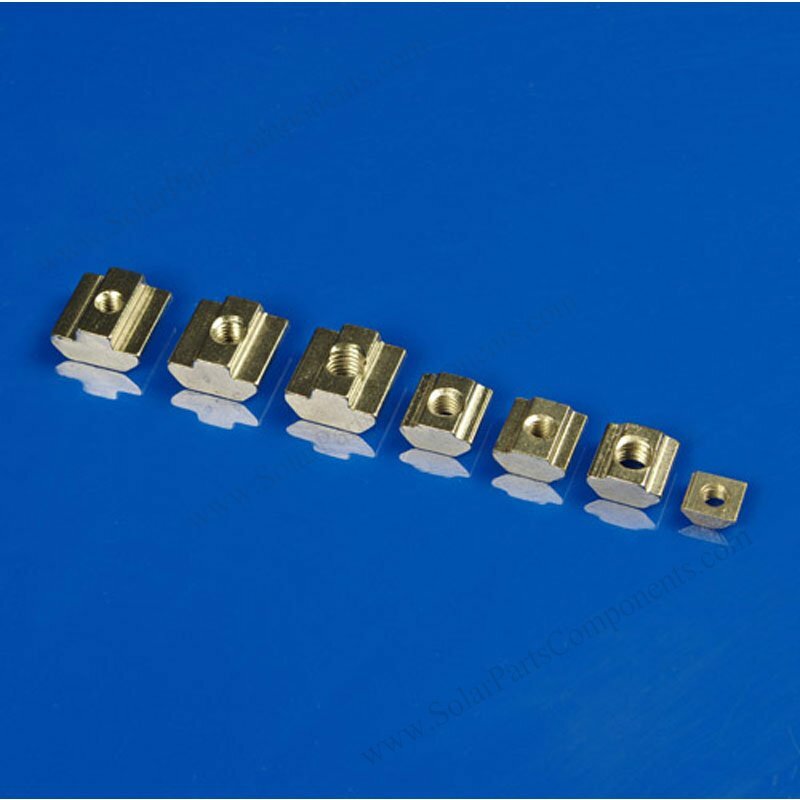 Samples can be offered for double check before mass producing for all of OEM solar nut blocks . 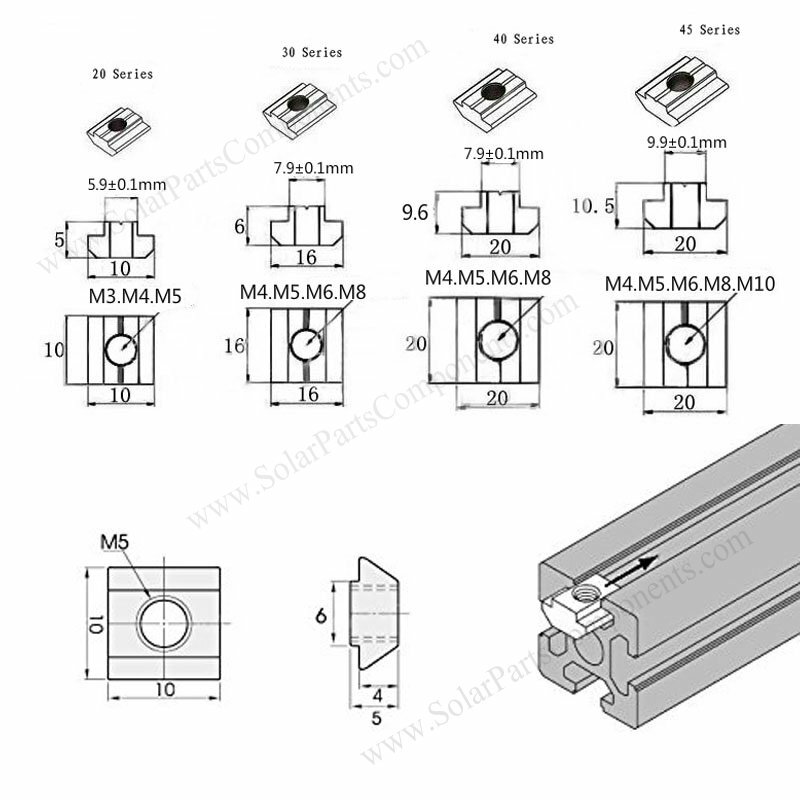 Welcome to get more information of aluminium profile accessories from www.SolarPartsComponents.com . 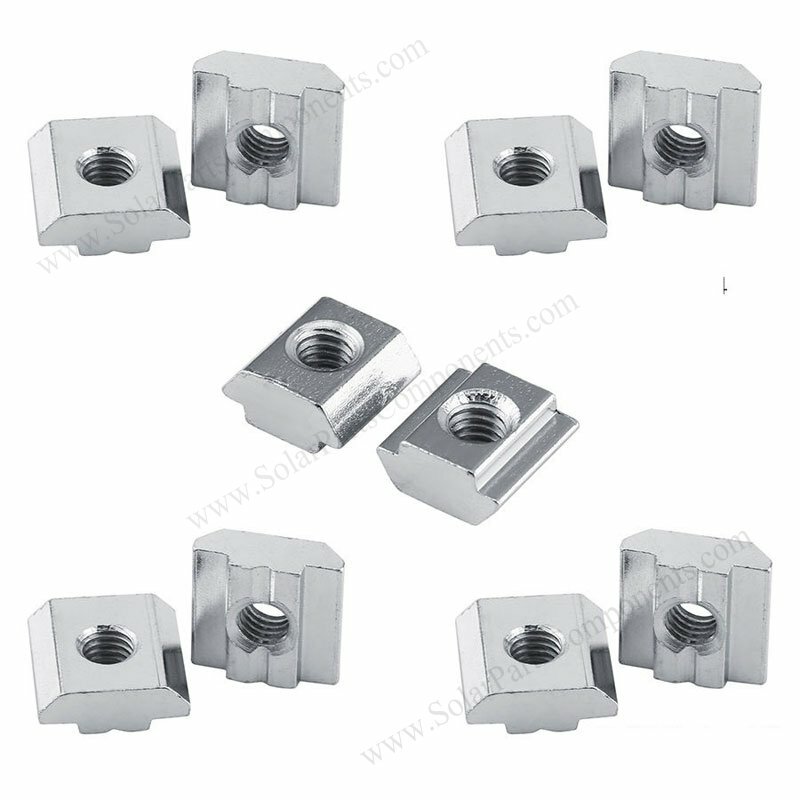 aluminum sliding nuts (block) is an essential components whatever for roofing or grounding installation . 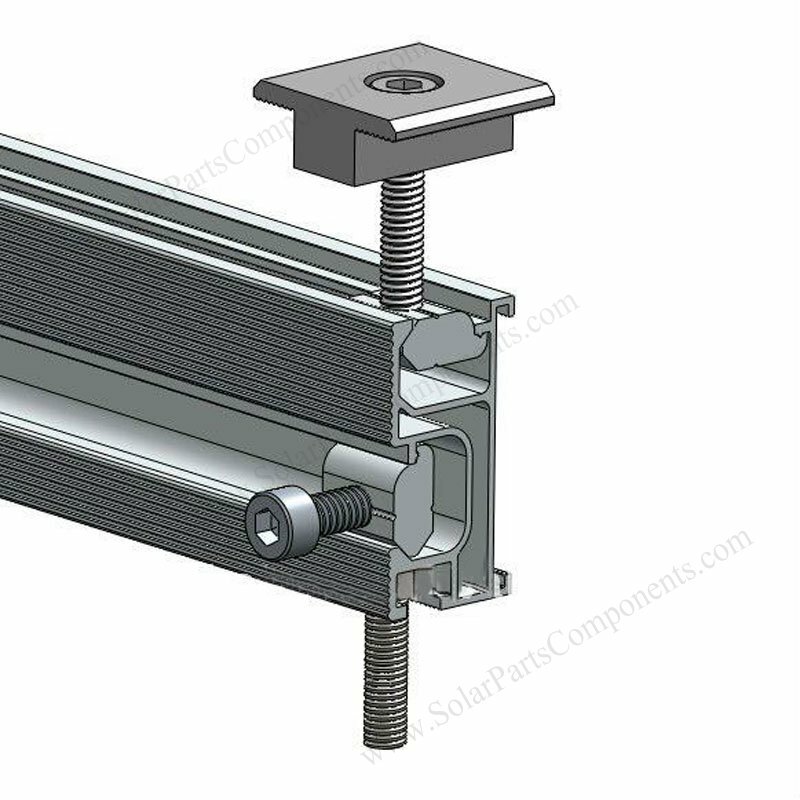 Aluminum rail extrusion is very important in solar panel mounting . They lay across two sides of PV modules and bear whole weight of solar panels . Nut blocks work as fasten component with bolts / screws , connect solar rails and roof hooks / clamps . 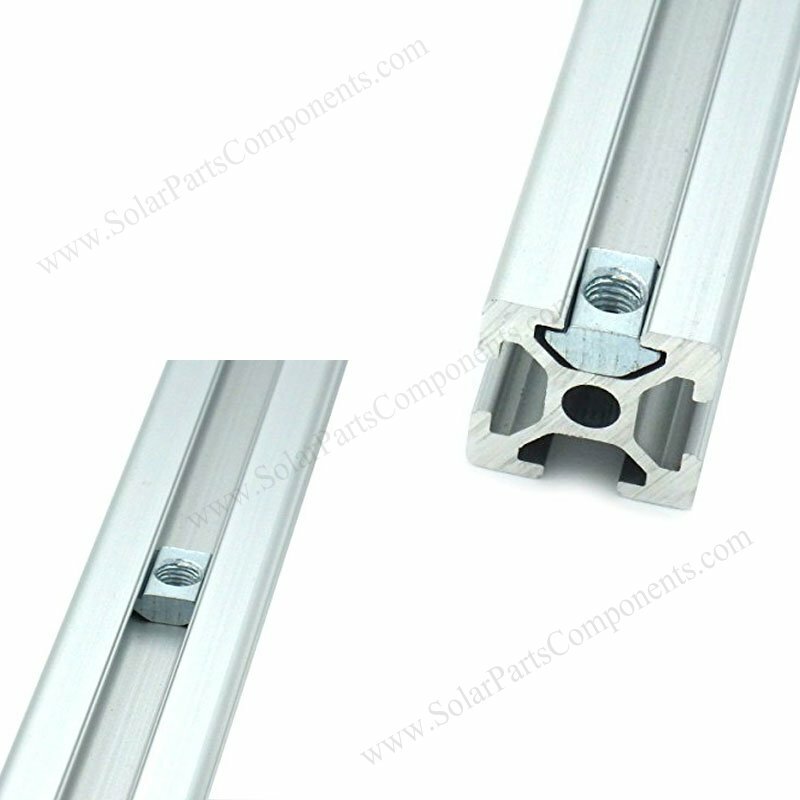 The solar nuts can slide into the grooves of rails, and fix firmly to any position of rails . High quality aluminum for corrosion free in material . This alum slot nut can be easily moved or installed by sliding lightly . 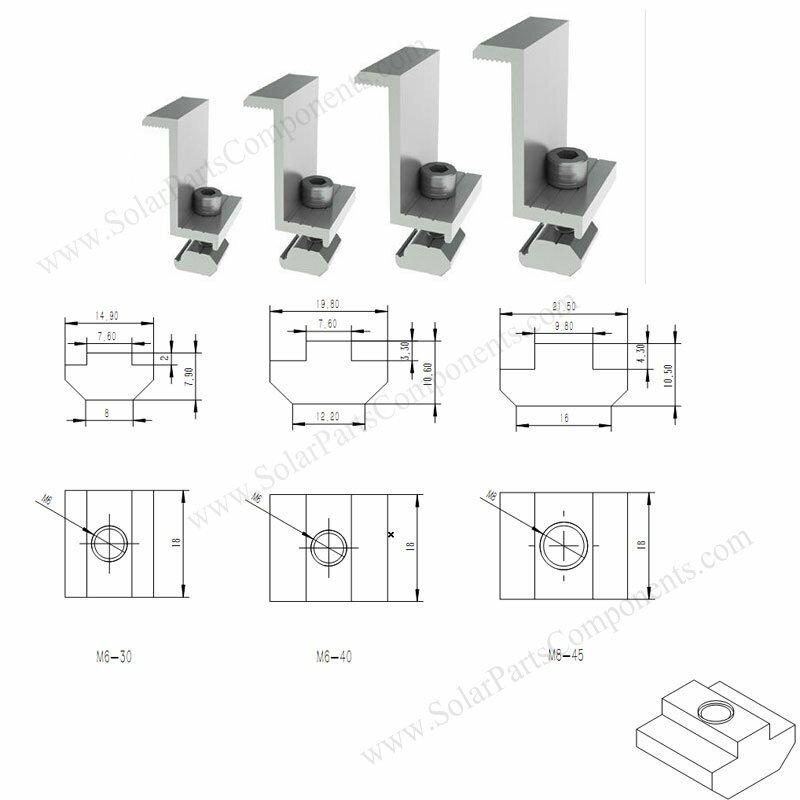 Welcome to choose our solar channel slot nut to hold and connect your PV modules securely . 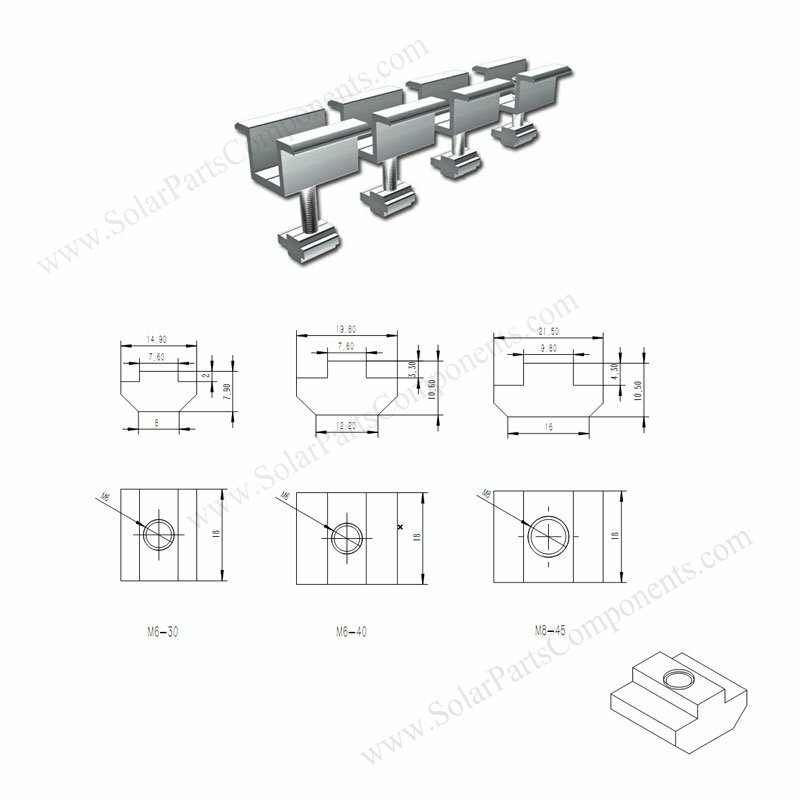 Factory direct sliding nuts for solar mounting rails, clamps, hooks , wholesale solar parts & components .